Lower Cowling (Carbon), Aprilia RS-250, GP Style, Assy. Lower Cowling, Carbon, Aprilia RS-250, GP Style, Assy. 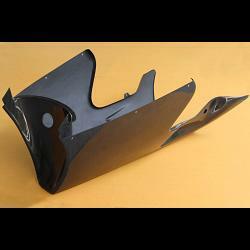 This lower cowling is suitable for our Aprilia RS-250 kits, BPFS-0100 and BPFS-1100. Upper Cowling, Race, Carbon, Aprilia RS-250, GP Style, Assy. Notify me of updates to Lower Cowling, Carbon, Aprilia RS-250, GP Style, Assy.